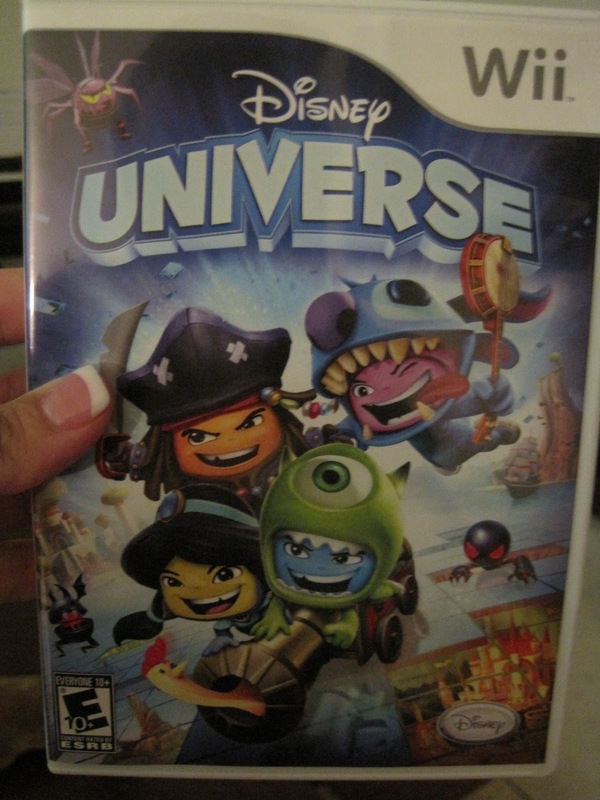 Disney Universe for Wii retails for $45-50. Click this link to go straight to Amazon’s listing. At the last minute, I decided to stamp/crop our family Christmas cards this year. I’m tapping into a lot of the materials I have on hand to save a little money, and I used the Splitcoaststampers website gallery to search for design ideas for the Stampin’ Up sets I have on hand. All I had to buy was some gold ribbon, clear envelopes and a gold pigment ink pad. I guess I’ll need stamps, too. Because I got a bit busy with the cards, for today’s daily post I’m just going to direct you to the Disney Universe for Wii video game review I did for GeekMom.com a week ago. I was so pleased that the review got picked up by the BlogHer network for further sharing. 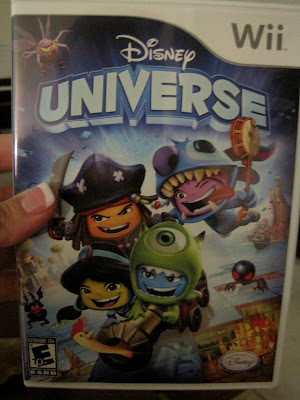 The week it was released, I wrote to Disney Interactive for a “review copy” of the game and I received one 5 days later! Wow! To summarize, the kids love the game, and I was a bit surprised at how twisted it is, considering it’s Disney. It’s clear Disney was trying to replicate the incredibly popular LEGO video game style made popular by Travelers Tales games. What is a Military Wife?